Due to what Samsung is citing as a surge in demand for larger capacity SSDs, they have now launched two new models offering up to two terabytes of storage each. In order to drive the extra capacity, they have also launched a new SSD controller in the MHX controller. Our resident SSD expert Kristian expects the MHX to be similar in design to the MEX controller, but with additional DRAM to track the extra blocks. The 2TB 850 EVO leverages the same 32-layer 128 Gbit TLC V-NAND that we have already seen in the smaller capacity 850 EVO products, but the 850 PRO will use a new 128 Gbit 2-bit MLC die, but still at 32-layers. It should be a nice addition to the 850 PRO series, especially with the rise of 4K video and the extra storage it requires. 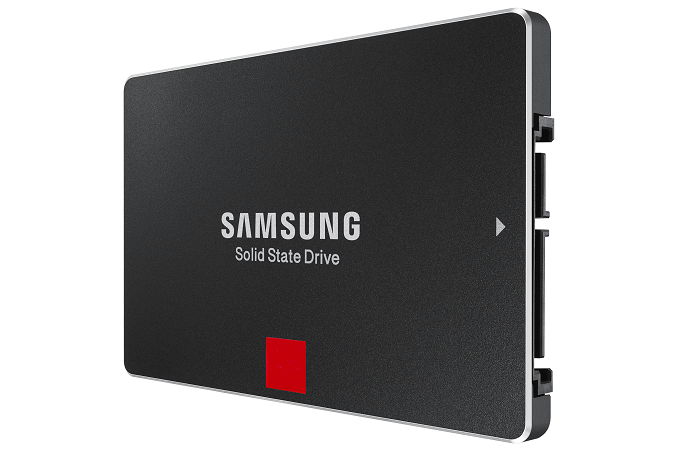 Samsung will still package these drives in the same 7mm 2.5” SSD enclosure which means they will be SATA based for now, but Samsung has said they will be moving their 3D NAND to mSATA and M.2 form factors as well. Endurance ratings for the drives are 10 years or 300 TBW (Terabytes Written) for the PRO, and 5 years or 150 TBW for the EVO model. The 850 Pro retails for $1000, and the 850 EVO retails for $800. Although not inexpensive by any means, and still much more than the $75 of a spinning disk, the prices are right around double the 1TB models in the lineup so there is not any extra premium to get the larger models at this time. Kristian should have a full review of the new models soon. I hope people are not rushing to store their 4k video collection on 1000$ SSDs..